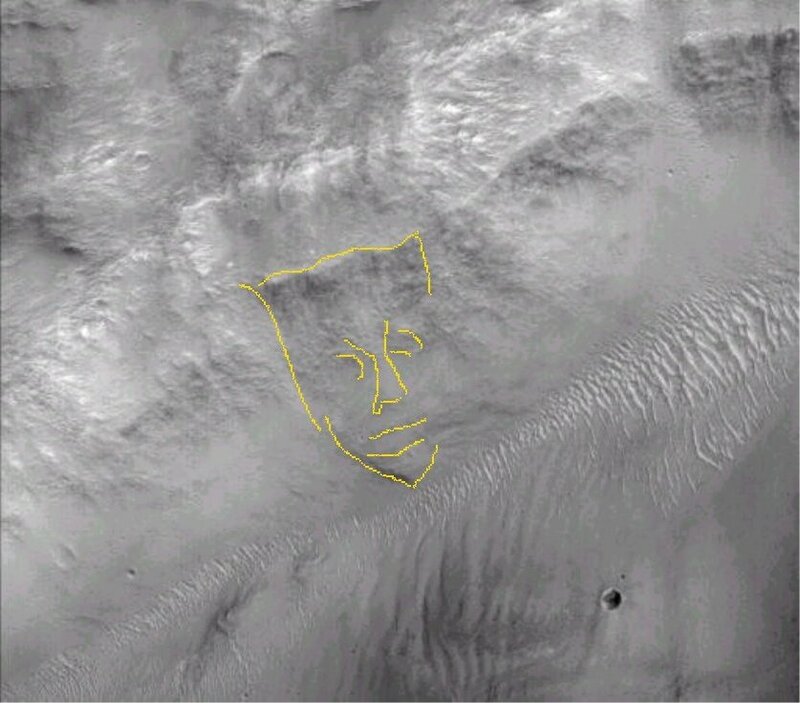 G. Orme discovered the central face and brought it to the attention of SPSR president Dr. Horace Crater. The subsequent discoveries of the "Horse" and "Sidekick" lend considerable support to the central Orme double-face. There are other features located elswhere in the complete image.